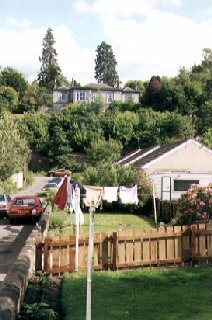 Lying on the banks of the North Esk River in Midlothian, the little hamlet of Polton lies a mile (2 km) southeast of Loanhead and a mile (2 km) southwest of Bonnyrigg. Polton was previously associated with two sizeable paper mills (Springfield Paper Mill and Polton Paper Works), of which little remains, and the ruined Mavisbank House (1727) lies adjacent. Polton Paper Works was established in the early 18th C. while Springfield Mill was built in 1742 and extended in 1866, with its land now forming a local nature reserve. Polton Farm Colony was founded for tuberculosis sufferers in 1910. The Esk Valley Railway opened in 1867 and terminated at a station in Polton. This line saw its last passengers in 1951 and closed completely in 1964 with housing built on the site of the station in the later 20th C.
The author and poet Thomas De Quincey died here in 1859.